This week I decided to do a French manicure. I’ve had the plan since the day I bought the nail pencil from France. So after little counting, I realized I’d had this plan for seven months. To create the look, I used following products. Artistry Nail Colour – It is a base coat with a slight light pinkish tone. I used it as the first, and the third step. 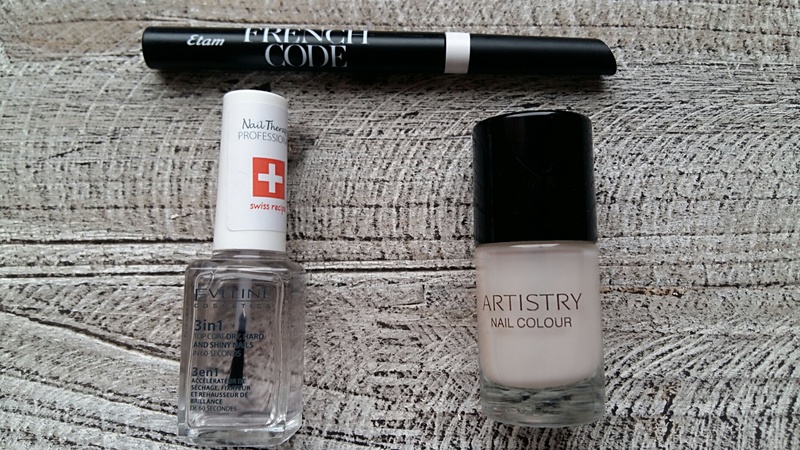 Etam French Code – It is a nail pencil in the tone 01 Ruban Blanc. With this I drew white tips. 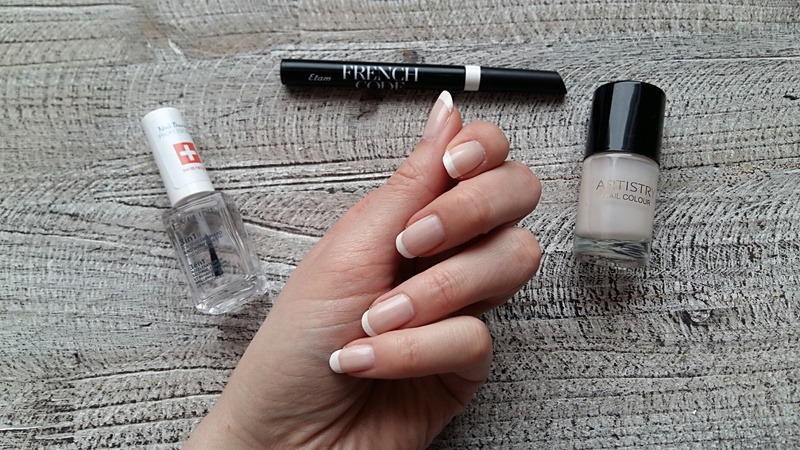 The pencil is a really easy way to achieve French manicure tips without having to use stickers. Eveline Cosmetics 3 in 1 Top Coat – It has amazing drying time. With a minute or three my nails are completely dry. The drying time depends on how thick is the nail polish layer on my nails. This was the fourth step of achieving the look. Nothing is better than a perfect French mani as it brings a stylish and elegant look instantly. !